Power plants based on fossil fuels must employ cost-effective carbon capture and storage (CCS) technologies to ensure that the United States will continue to have sustainable, reliable, and affordable low-carbon energy. 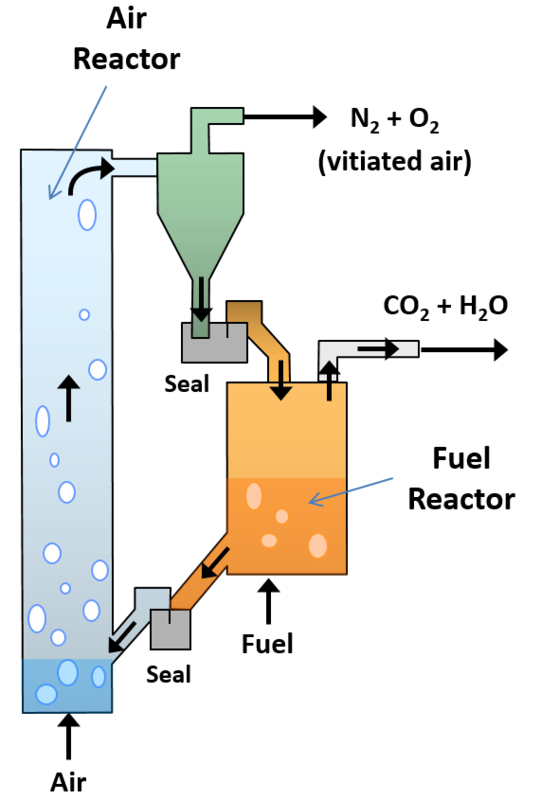 One of the many novel combustion technologies that could greatly reduce the costs associated with the capture of carbon dioxide entails the use of what are called chemical looping reactors (CLRs). But CLRs have been demonstrated only in the laboratory and at small pilot scales, and they must be built to larger pilot and then industrial scales. Highly detailed, or high-fidelity, computer simulations could reduce the cost and technical risk as CLRs transition from research and development to first demonstrations in the 2025–2030 timeframe, to meet a CCS technology goal of the US Department of Energy (DOE). A DOE Exascale Computing Project (ECP) effort, led by Madhava Syamlal of the National Energy Technology Laboratory (NETL), is building a new tool, called MFiX-Exa, that will enable the needed high-fidelity simulations. MFiX-Exa is a computational fluid dynamics–discrete element model (CFD-DEM) code designed to run efficiently on current and next-generation massively parallel supercomputing architectures. It is the latest creation based on the original MFiX code developed at NETL and is used widely in academia and industry. Tests have shown that the new MFiX-Exa algorithm reduces the computational time for the computational fluid dynamics calculations by 4x. The new algorithm is expected to perform even better in the ECP challenge problem simulation, which will use progressively more cores on an exascale machine. 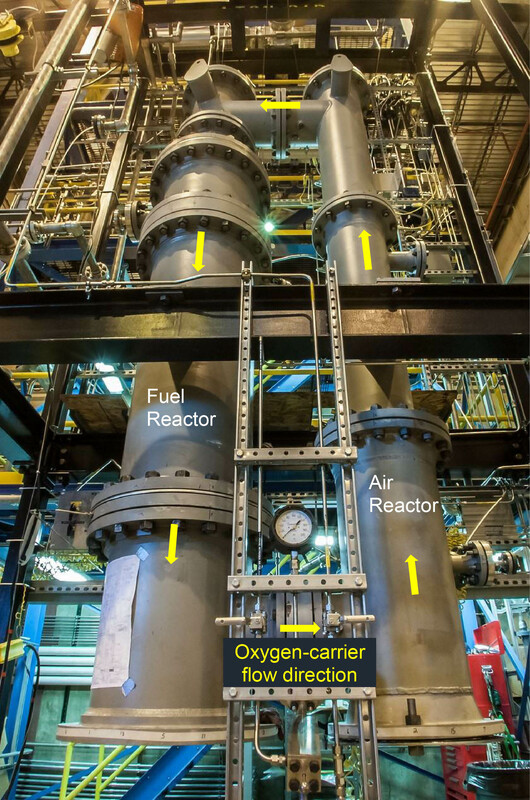 Another aspect of the robustness of the MFiX-Exa challenge problem is that it requires the simulation of a longer operational time and the handling of a complex reactor with multiple flow regimes and chemical reactions. The team expects the challenge problem simulation to be 5x longer or more than studies reported in the research literature. Tests have shown that the new MFiX-Exa algorithm reduces the computational time for the CFD calculations by 4x. The new algorithm is expected to perform even better in the challenge problem simulation, which will use progressively more cores on an exascale machine. MFiX-Exa has brought together researchers from NETL, Lawrence Berkeley National Laboratory (LBNL), and the University of Colorado (CU). NETL and CU represent more than six decades of experience in multiphase modeling and the MFiX code, while LBNL brings the same level of expertise in large-scale, multiscale multiphysics applications. In total, the MFiX-Exa team is characterized by more than 90 years of relevant experience and close collaborative ties: members interact daily, monthly, and yearly through Slack team message app channels, teleconferences, and all-hands meetings, respectively. The next stage will focus on running effectively on machines like the OLCF’s Summit system. Currently, the particle-particle collisions can be off-loaded to the GPUs, and work is in progress to migrate more of the algorithm to the GPUs to reap the benefit of their compute power.